Aging and other environmental damages affect the texture and appearance of your skin but there are some patches or marks that appear on the skin by birth and are known as birthmarks. Birthmarks are basically congenital spots or marks on the skin having variations in color. Though birthmarks appear before birth, they may also appear after the child is born. Birthmarks vary depending on their texture, size, color, and depth. While most of the birthmarks are benign and do not cause any harm, some may lead to severe conditions if not treated properly and timely. Vascular birthmarks can show some notable symptoms. These are the same machines which are used for Laser Tattoo Removal and Laser Skin Rejuvenation. Most of the children get the birthmarks that are caused by uneven or extra pigmentation of the skin. In some children, birthmarks are also caused by abnormalities of blood vessels. Some birthmarks occur in people with certain genetic disorders such as neurofibromatosis. All are birthmarks the same? 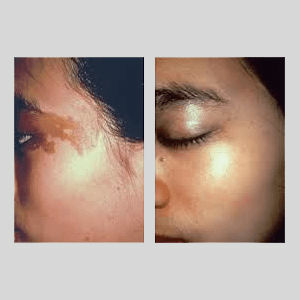 Pigmented birthmarks: Pigments are basically colors and pigmented birthmarks are the spots and marks appearing on the skin due to pigments on that part of the skin. Here are some specified types of pigmented birthmarks. Vascular birthmarks: Vascular birthmarks appear on the skin when blood vessels clump together or due to other disorders, they become prominent and start appearing on the skin. More than one in every ten babies gets these marks on the skin. More specified types of such type of marks are given below. 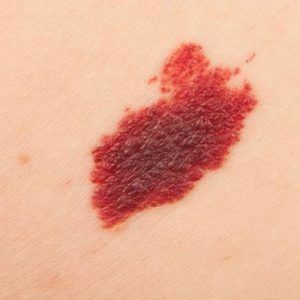 How can I treat birthmarks? There are numerous options available for treating birthmarks. Selection of treatment greatly depends on the prediction about the progress of birthmark. But Laser Treatment for Birthmarks Removal is the most recommended and the most appreciated procedure for ridding these unsightly color spots and lesions. While there is a wide variety of treatments – topical medicines, injections and surgical procedures – available for treating birthmarks, Laser Treatment for Birthmarks is considered as the most effective one. It is a simple and safe procedure that has been approved by the US Food and Drug Administration (FDA). Topical anesthesia or numbing cream is applied to the treatment site. 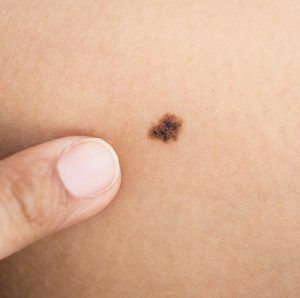 A beam of the laser is made incident at the birthmark. The laser beams penetrate into the mark underneath the skin, without damaging the outer skin layers. A special type of laser treatment, called Laser Photo Rejuvenation is used for eliminating pigmented birthmarks. It uses Intense Pulsed Light (IPL) to break down the pigment, which is then excreted out by the body’s immune system. This is how pigmented birthmark is removed. Vascular birthmarks treatment also begins with the numbing cream application. Laser beams of a specific type and energy are then made incident at the birthmark. Heat energy from the lasers works by clogging the blood vessels. Over the time, the vessels shrink and fade away. Number of sessions: Depending on the texture, size and depth of birthmark only one session of laser therapy can give the results but in some cases, more sessions are required for complete removal and with every session birthmark fades out. Cost of Birthmarks Treatment: Like any other part of the world, there is no fixed cost for Birthmarks Treatment in Abu Dhabi. Every surgeon will charge you differently depending on the type and size of the mark as well as the laser type used. To know more about Laser Birthmarks Treatment in Dubai, contact us now. For FREE EXPERT ADVICE, fill the online consultation form below. 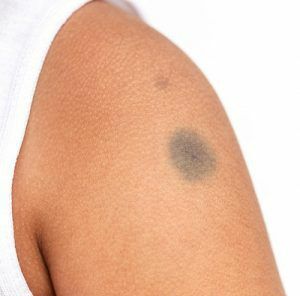 Is It Safe To Remove Birthmarks, Necessary Precaution When Removing Them? I was born with a visible red birthmark (port-wine stain) covering my right eyelid and extending about a couple of inches on my cheek. For 20 years i have been hiding it with makeup and then i met Katrina Valente, the laser expert at Laser Skin Care. She used laser treatments to remove this unsightly birthmark. It took six laser sessions for the mark to eliminate completely. Having endured with an obnoxious birthmark on my neck, i finally decided to get rid of it permanently. A friend of mine suggested me to see Katrina Valente of Laser Skin Care and I am really grateful to her that she recommended me the right person. Now not only my birthmark is gone but Katrina Valente has also helped me get rid of acne scars. Thank you doctor! A purple facial congenital nevus birthmark on my son’s face has been bothering me for more than a decade before Katrina Valente helped me and my son get rid of this ugly looking birthmark. It was really a nice experience, I am extremely satisfied with the services of Laser Skin Care. Thank you Katrina Valente, thank you Laser Skin Care. You Don't want to Miss Our Offer on Birthmarks Treatment . Fill in The Form To Avail Our Special Offer For You!